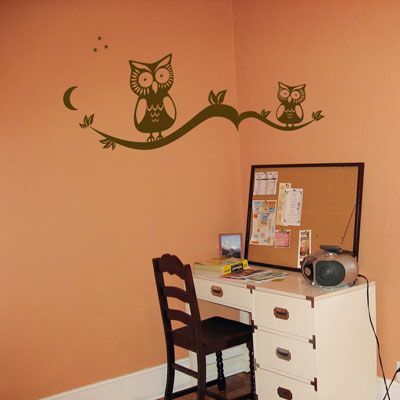 These owl wall decals are adorable! Our wall decals are ideal for offices, living rooms, entryways, classrooms, even your car or glass shower doors! Owls, branches, moon and stars come separately so you can position them however you like.